Well if you didn’t know by now, I’m now on a Will Smith themed review binge (don’t worry, I still have one or two War Machine reviews down the road, but I like to mix it up some). This time around we have Robert Neville played by Will Smith from the movie “I Am Legend.” Or what we actually have is a “random” Survivor figure from the Subway Toys company. If you didn’t know by now, some Chinese companies like to create seemingly “generic” figures, ripping off characters from popular movies and TV shows and giving them generic names like “Survivor.” This way, they avoid paying copyright and licensing fees, although I’m sure some have gotten caught. But most haven’t. And often, they create figures for characters and licenses that never had figures produced. Well, this packaging is not winning any rewards anytime soon. What it does is sufficiently meets the needs of getting a figure from Point A to Point B safely. And seeing the pictures on the box let’s us know what we will receive when we open the box. The front cover is a slip cover with images of the figure inside. Once you slip off the cover, you are presented with a pretty normal box that opens to a figure carefully packaged in foam. 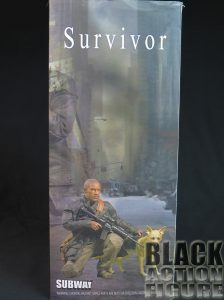 I think what makes this slip cover so lackluster is the pretty boring font they used on “Survivor.” It is as boring as the lazy “green screen” backdrops they photoshopped the figure into on the box. I felt like I just “survived” looking at this boring as box. What it does serve as is a way to see how the figure and accessories interact with each other especially since as I will come to find out, there are no instructions included with this figure. 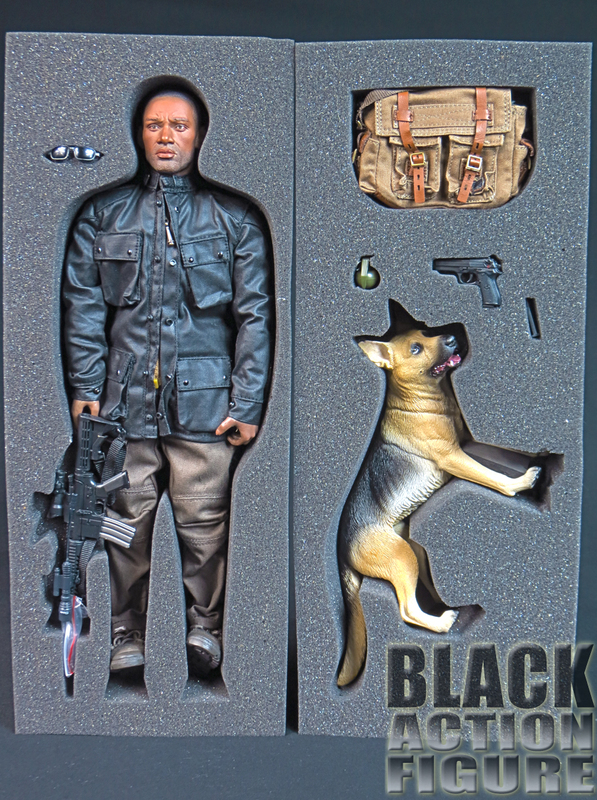 Like I said, if we compare it to the industry standard “Hot Toys,” we have “blah” instead of “wow”. 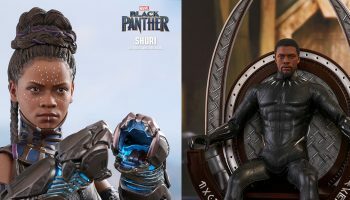 But that is also a testament to Hot Toys throwing some of that premium money into their packaging…which is mostly a little too much at times. To me, this packaging, while not overly exciting, tells me “here is the box, and here is a picture of the figure inside of the box.” I’m cool with that. To add some more to the packaging review, I like when figures are packed in foam padding instead of molded plastic. The foam padding if done right keeps the figure and accessories in place and it’s easy to remove items from it and easy to put items back into it. I actually wish more companies would go this route. 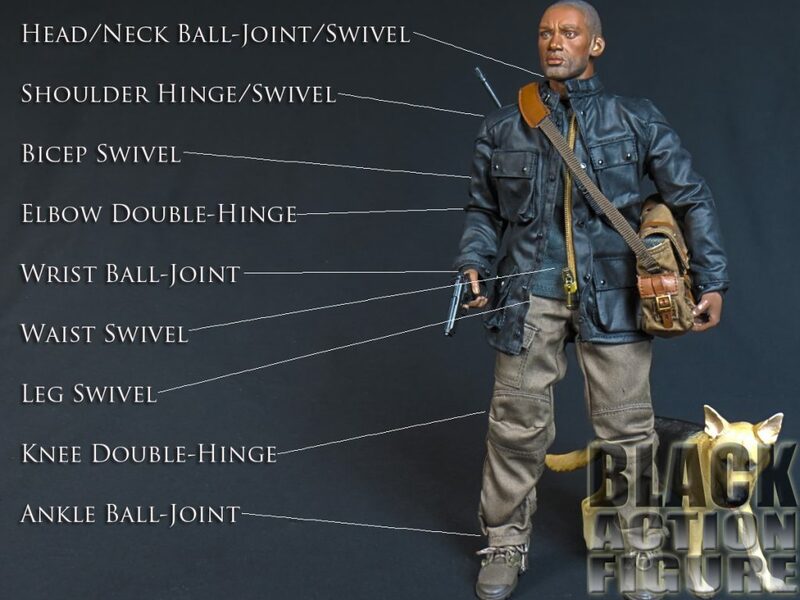 At any rate, we get the Robert Neville figure with a replication of his outfit in the movie. 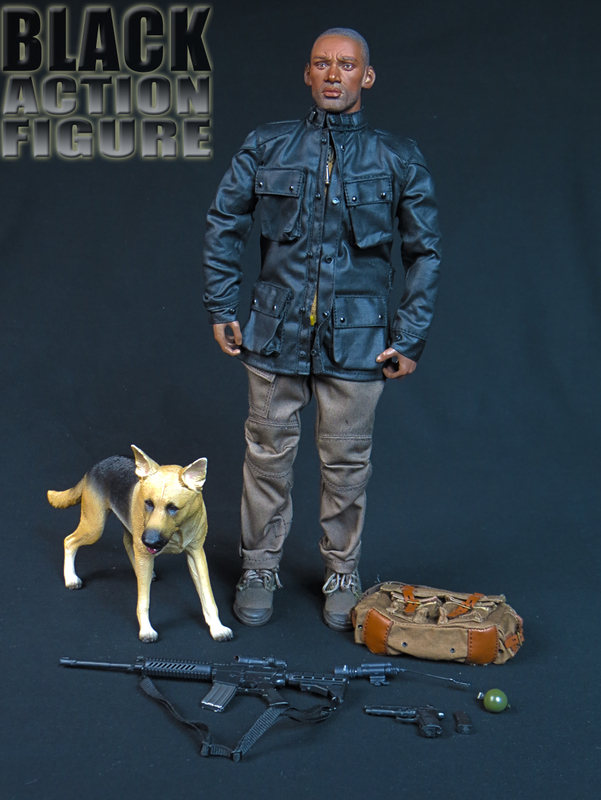 We get a pair of sunglasses, his rifle, a handgun, over the shoulder messenger bag, a grenade, a gun magazine, and the character’s pet dog. I actually think that covers it. 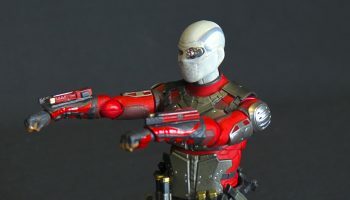 The only thing I can think of that’s missing is probably some extra hands to go with this figure, but just because this is a 1/6th scale figure, does not mean we automatically get twenty different exchangeable hands. Sometimes it’s easier to keep it simple, although it limits the characters hand poses. If counting as an accessory, the figure’s clothing is pretty exceptional. Everything is removable is that’s your thing (I’m good), and the jacket has a nice working zipper on it. Some of the cons: the sunglasses are kind of warped, the dog is basically a statue (no articulation), and the rifle comes with what I assume is an attachable side flashlight, but I have no clue how to attach it since there are no instructions. Most of these items will probably just end up in the bag anyway. Still, an impressive showing with the accessories. 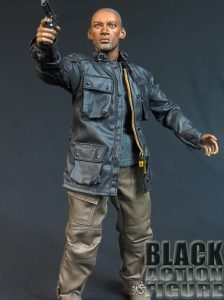 Okay, so the burning question here is, does the figure look like Will Smith? 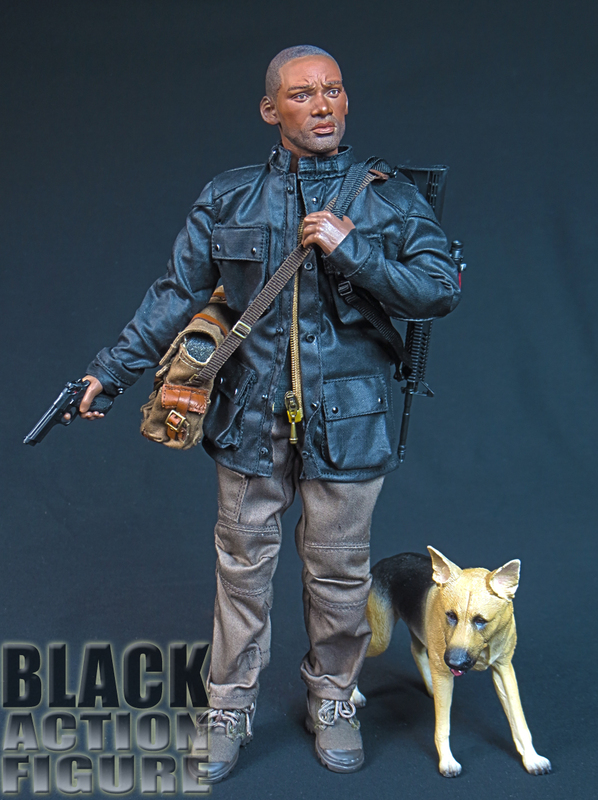 I usually give my usual answer for unlicensed figure reproductions: Yes and No. 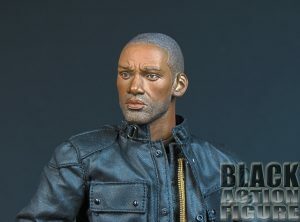 Yes, if you turn the figure at a certain angle, this definitely looks like Will Smith. 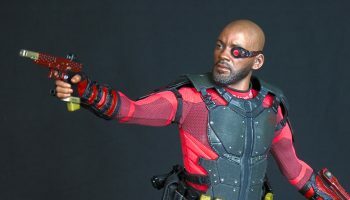 No, at other angles this does not really look like Will Smith. It’s almost like the sculptor got the technical aspects of Will Smith’s face, but did not do it quite to scale. Almost like if you were designing a video game character and you almost got it to look like you, but it’s not quite right. It’s okay enough for someone to come in and say “hey, that kind of looks like you” but not enough to be definite. 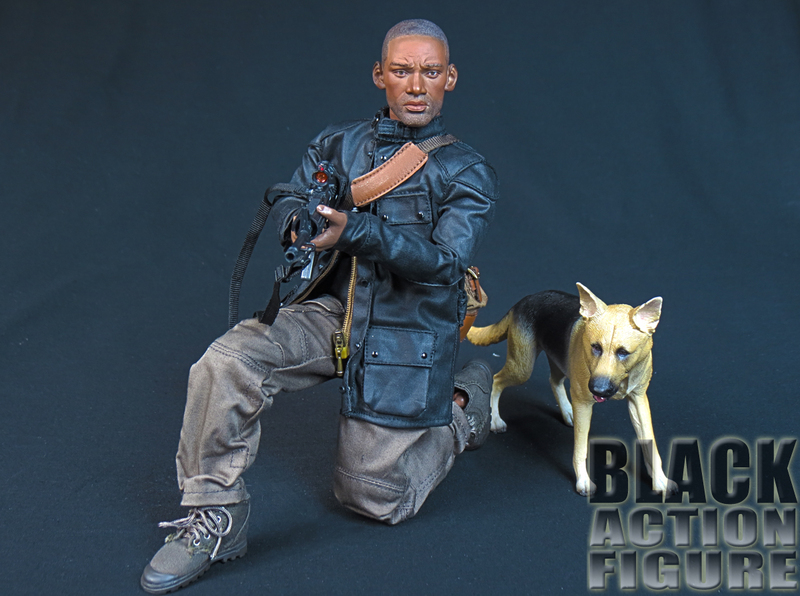 Other than that, the hair is sculpted and painted well. The actual paint application is done very well. 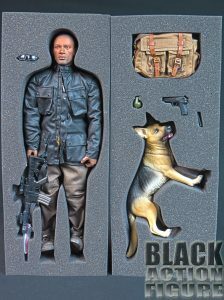 And the dog and accessories are pretty accurate. The only complaint I would have is probably the colors of the clothing. 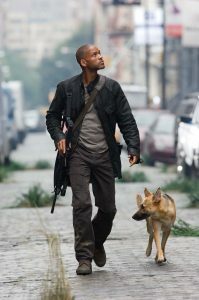 In the movie, Will Smith usually wore a light t-shirt with darker pants. This figure comes with the opposite. 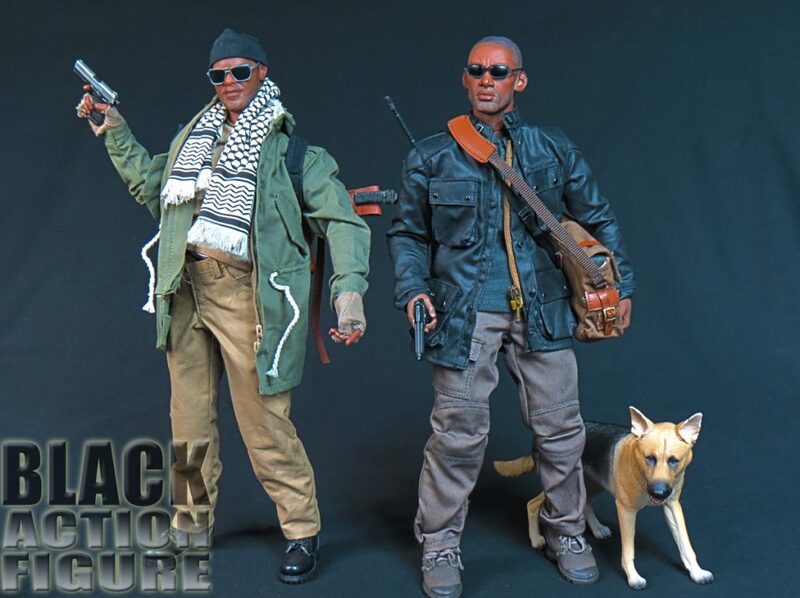 And maybe that helps with unlicensed figures avoiding lawsuits. But still bothersome. In all honesty, sometimes fully clothed 1/6th scale are hard to determine how many points of articulation there are. For one, sometimes I may inadvertently miss counting because of the clothing. Other times, sometimes the clothing hinders the movement and I miscount due to that. With all that being said, I counted a respectable 23+ points of articulation. I couldn’t do all of the poses that I wanted to do with this figure, but I think part of the reason for that was because of the clothes. 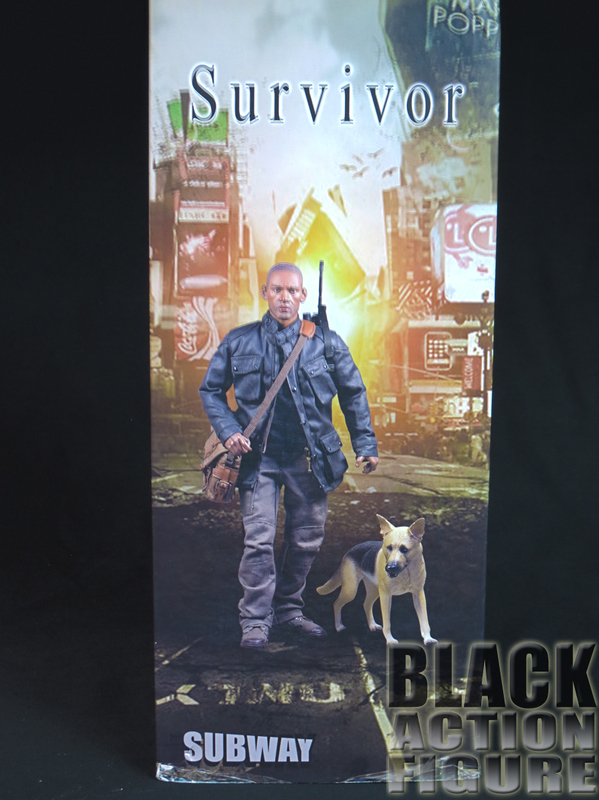 I even tried some of the poses on the box and have determined that it was either strategic photography, or they ripped or took off the clothing to help with some of the posing. I do like the way the head and neck move, allowing the figure to look up or down. Turning side to side was a little awkward, but worked as well. I also wonder if the figure’s leg can move differently and the pants just restricted movement. There’s no stand, so the figure probably won’t be in some dynamic flying jump kick pose on my shelf. But I like having the option, especially for these photo shoots. 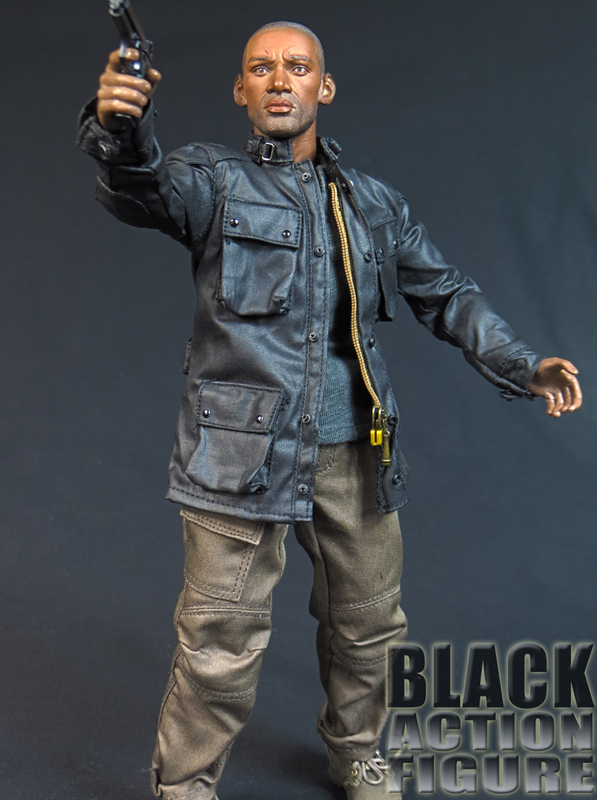 I may want this figure pimp slapping my Sam Jackson/Nick Fury figure one day, so dynamic posing is a must in cases like that. Overall, I’m pretty pleased with this figure. It won’t win any awards or anything, but I’m happy with how it turned out. 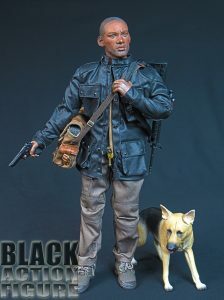 I’m sure it will go well with my other “post-apocalyptic” figures like Denzel in Book of Eli or Lawrence Fishburne’s character in Predators. 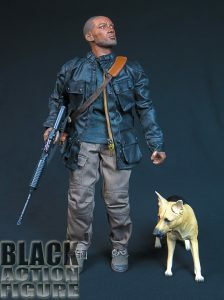 Can’t wait for my Michonne to come in and regulate. “I Am Legend” in my opinion was an okay movie and I don’t think that a mass production of figures would have complimented it. That being said, this unlicensed figure definitely suits niche collectors like myself well and I think a pretty good job was done on it. I recommend if this is something you need in your collection, then you definitely go out and find it. This figure is an added bonus to any collection.